Hi there! †I’m Sheryl Siler, editor-in-chief of Cherished Magazine–an online magazine for Christian Women reminding them they are chosen, cherished and loved. †I’m here visiting The Busy Woman as part of our Cherished Everyday Fall Tour Extravaganza. †Thank you Susie for having me over!! In addition to my newer hat of editor-in-chief, I have also been a homeschooling mom, children’s church leader, girl and boy scout leader and woman’s small group leader. †Each one of those hats require a certain amount of organization. †The way I do that is to have a binder, information at my finger tips, a place to write thoughts down, my to-do lists, my calendar, etc. †If I didn’t write it down I would be a disorganized mess. †I need help with focus. One of the hats I still have on is a women’s small group leader with my church. †I have done it for years now. †Our group has†had seasons of intense bible studies and seasons of relaxed “Let’s just get together and talk”. †This small group season we are sort of in a season of both. †I’m calling the season “Be in the Moment”. †The group is†having weeks where we are just getting together to catch up and get to know each other better. †Like this past week where we had a baked potato bar night where I had potatoes and everyone brought a topping and we sat around and chatted. For the next two weeks God has led me to speak to the girls about prayer–probably because I personally really want to be more focused in this area. One of the items I want to go over with my group is creating a prayer journal. † †Do you have one? †I’m curious. I have to admit, I don’t have a dedicated “prayer journal”. †I love to journal. †It is a book where I write down †my conversations with God. †It is how I process all those things rattling around in my head. †I love my journal but it really doesn’t help me focus…it helps me to decompress. 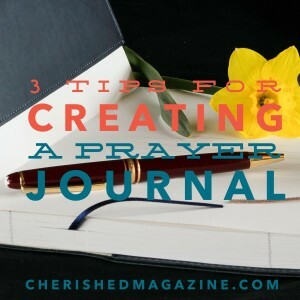 So the main reason I want to create a prayer journal is to create a focused prayer time. †It is like a quest. If you decide to join me in my quest to create one, here are three tips to help you. Pray! † What would God like your journal to be about? †A prayer journal could mean different things to different people. †I love the fact that he has wired us all different…don’t you? †Relax! †There is not a wrong way or a right way! †The idea behind the journal is to help you focus not about getting it right or putting in yet another daily “To Do”. Create! †Perhaps I should say, just get started and change as you go along. †You may start out saying my prayer journal will have these 5 areas but as you start using it to help your focus you may decide your focus needs to be elsewhere. I hope you enjoy the quest to get a bit more organized in your prayer life. †To help you get started, I have created a printable prayer journal sheet just for you. † Just go here to grab it. † Since I created it for you, I have decided this is also what I’m going to use to take a baby step in starting a more†focused prayer time. †Will it change and perhaps expand? †Yes I think so, but for me, it is a great place to start. †Enjoy! You are chosen, cherished and loved! PS – As part of the Cherished Everyday Blog Tour Extravaganza, Cherished Magazine is offering a special yearly rate of only $17. †When you go over to grab your printable prayer journal sheet, go check it out. †It’s on the tour page here. 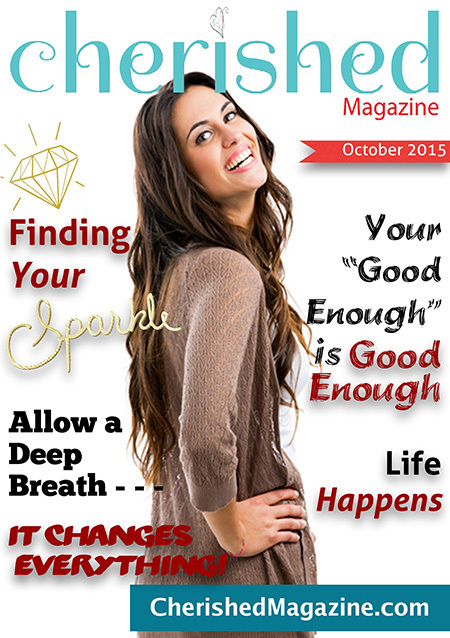 Thank you for having Cherished Magazine over today!